First things first: if you’re thinking of joining giffgaff on a SIM only deal, make sure you order your giffgaff SIM through our page here so that you get £5 free credit. 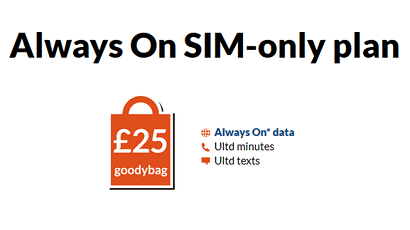 We’ll take you to a special page on giffgaff’s official website to request your free SIM. 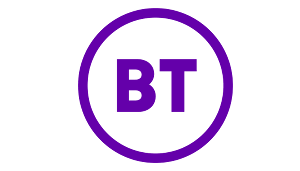 Once they’ve delivered it, you’ll need to top up with at least £10 to get the bonus credit or buy one of giffgaff’s goodybag bundles for £10 or more. But once you’ve done that, £5 extra will automatically be applied to your account. 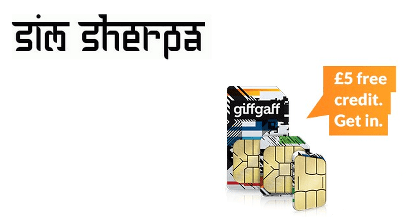 So if you decide giffgaff is right for you, remember SIM Sherpa can get you free credit! 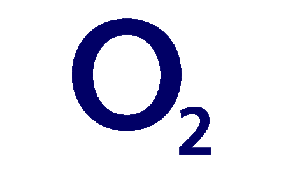 It’s no secret that giffgaff use O2’s mobile network to bring their customers signal but what does that actually mean? In terms of coverage, you’ll get identical reception to someone who was on O2 directly. 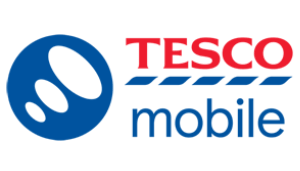 So if you’re moving from O2 themselves or another network that uses them, like Tesco Mobile, there’s no good reason you won’t get the same number of bars in the places you use your phone. Speed-wise the O2 network isn’t the very fastest (that title belongs to EE) but we'd say you could still expect downloads at around 16 Mbps over 4G if giffgaff can match O2 directly. That’s easily enough to easily support smooth video or audio streaming and lightning-fast internet browsing. 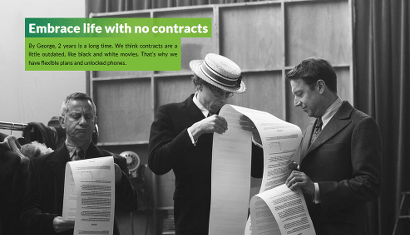 Technically speaking, giffgaff are a Pay As You Go only provider. But if you’re used to Pay Monthly, don’t let that put you off, because they have options that are just as good as contracts. 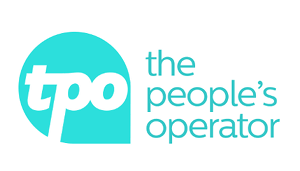 Their ‘goodybag’ bundles give you a set number of minutes, texts and data to use each month for a fixed cost (just like a pay monthly deal). Each goodybag lasts for 30 days. You can either choose to top up with credit and select a goodybag manually each month. Or choose your favourite and set it to renew automatically every 30 days. You can always stop or change again later. 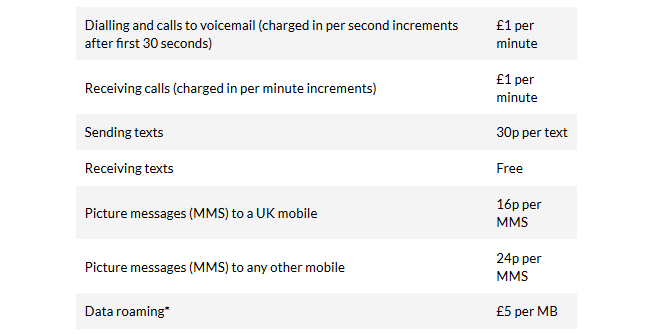 If you know you hardly use your phone giffgaff are a good choice too, because you choose just top up with some credit and then pay per minute, text or MB data you use, and only when you use it (see latest costs here). There’s no credit check to pass when you join giffgaff on SIM only. That means anyone can join giffgaff, as long as you have a UK bank account and address. So even if you’re under 18, have only just moved to the UK or have bad credit history, everyone is guaranteed to be accepted for a giffgaff SIM. Note: if you want to take a deal for a phone handset with giffgaff there is a credit check required (see negatives section on phone deals further down the review). Useful link: Compare all no credit check SIM only deals in our guide. Because you decide if you want to buy a monthly bundle in advance and when to top up, giffgaff give you a level of freedom you don’t get with other contract-based providers. You can change to a different goodybag bundle each month. So, for example if you find you need more data than your current bundle gives you, you can move up to one that gives more. Or if you’re ending up with leftover minutes or data, you can move down to a cheaper bundle that gives you less. giffgaff will even actively tell you if you'd be better off on a cheaper plan! And if you decide you want to leave giffgaff or take a break from buying monthly bundles, you can do that too. Just cancel any automatic renewal and spend any credit you’ve got leftover. 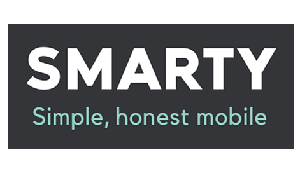 giffgaff have a good range of well-priced smartphones from the usual manufacturers you'd expect including Apple iPhone, Samsung Galaxy, Sony Xperia, Microsoft, HTC and more (see full range here). 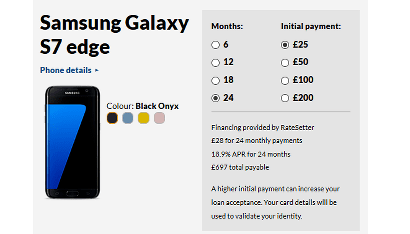 On most models (around £100 value and above), you can choose to either buy the phone outright or spread the cost of it over 6, 12 or 24 months. This is done on finance, which does have its own downsides. 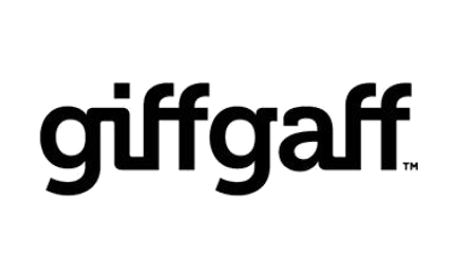 The key benefit with all giffgaff's phones is despite being sold with a SIM only plan attached, you don't have to stick with giffgaff as your mobile provider. You're free to put any SIM from any other network in the phone and it will work just fine. 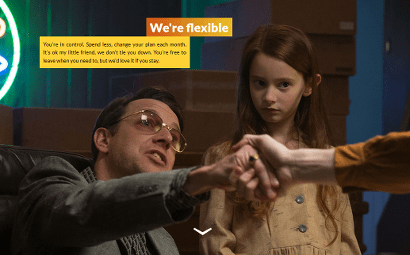 This is a bold move from giffgaff and underlines how they're arguably the most flexible network currently. 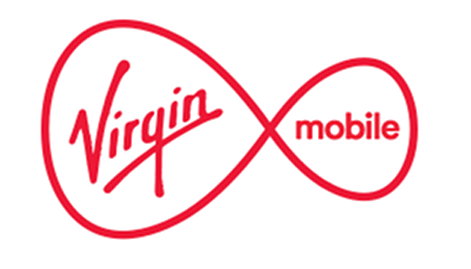 ✔ No data limit to exceed with "Always On"
The number of networks offering unlimited data SIM only plans has dwindled since the advent of fast 4G and our expanding appetite for getting through more and more data (which costs them to supply). With Always On there's no fixed limit on the number of gigabytes of data you can use in a month, so you'll never have to pay for more. If you're interested in unlimited data because you know you're a heavy data user, there is a downside that we go into in our negatives section further down the page. 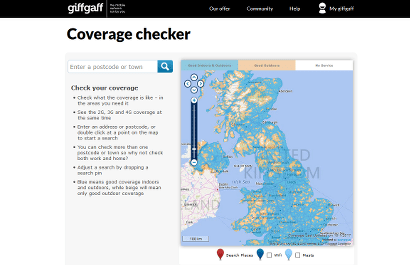 Useful link: We compare Three's All-You-Can-Eat data with giffgaff's Always On in a quick guide. One of the ways that giffgaff keeps its costs down is by cutting out call centres, which other networks would normally have for dealing with customer service enquiries. 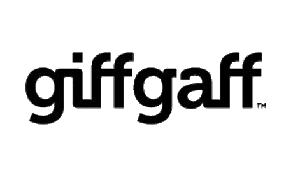 Instead, all giffgaff’s support is based online, either through various help articles on their website or provided through their online community section, which is essentially a forum, staffed by other giffgaff customers, who earn free credit by helping others. This could lead to frustrating waits to get issues resolved. 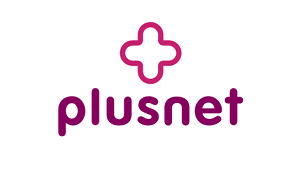 If want the re-assurance of good UK-based customer service, you might better off looking at someone like Plusnet Mobile. 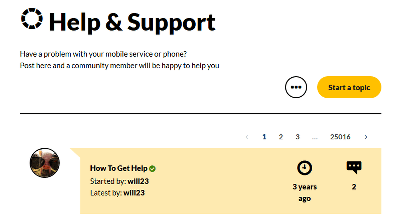 Useful link: See help topic examples in giffgaff's help forum. 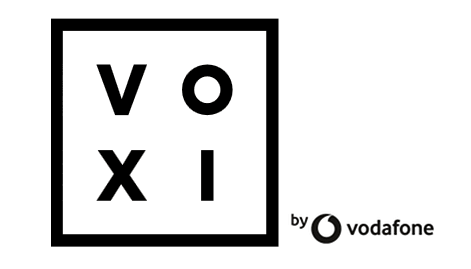 ✖ Harder to get accepted for a phone with giffgaff than other networks? Traditional mobile contracts combine the cost of your phone and airtime tariff (your minutes, texts and data) into one monthly cost. Within that price, a mobile network will make profit on the phone and your usage. When you take a phone on Pay Monthly with giffgaff, you're essentially taking out a loan with them for the value of the model you pick. You then pay that back each month and that's your monthly cost. This sounds fine but as soon as you turn getting a mobile phone into a financial product, there's a lot more regulation that giffgaff will have to adhere to in order to prove they are lending money responsibly. Just like a bank does with mortgages or personal loans. What does that mean? 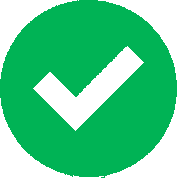 giffgaff's credit checks may be more stringent than networks that offer traditional mobile phone contracts, so you may find it harder to be accepted. 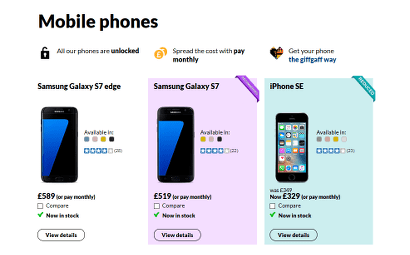 Useful link: Read how giffgaff's phone financing works in their own guide. Each month, you can only actually use 6GB data at the full best-possible 4G speeds giffgaff deliver. 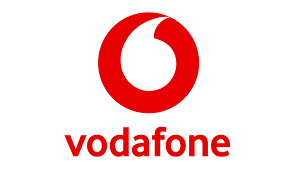 Once you've used that, your speed will be reduced to a mere 256 Kbps (around 2G speed) during the hours of 08:00 - 23:59. This is basically the whole day. The reasoning behind this is that Always On is not technically an unlimited data product and giffgaff will want to keep their network clear for other users. Instead it's there for people who want to know they can't ever be charged extra for data. 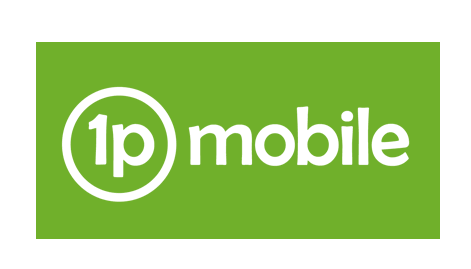 While giffgaff are set up to be a very cheap provider for when you're at home in the UK, they don't yet offer any inclusive roaming abroad like other networks are starting to. That means if you go abroad, you'll pay per minute, text and MB data at varying rates (inside the EU is cheaper than the rest of the world, see all giffgaff roaming costs here). 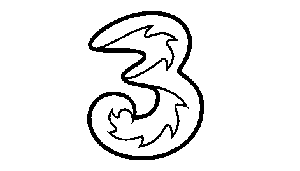 If you're after a deal that gives you inclusive roaming, we recommend Three's Feel-At-Home that gives lets you use your regular UK minutes, texts and data in 42 other countries. 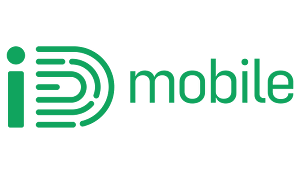 Overall, SIM Sherpa gives giffgaff mobile network a rating of 4 stars so far in 2018 . 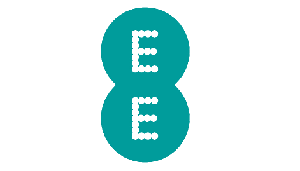 This cheap and cheerful network gives you low-cost bundles and Pay As You Go rates, plus un-rivalled flexibility backed up by decent coverage and 4G speeds through O2's network. ★★★★★ SIM only plans you can change each month or leave with no notice, plus unlocked phones on contract lengths you get to choose, giffgaff's best score comes for flexibility. 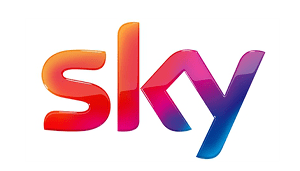 We're not sure any other network beats them for it. 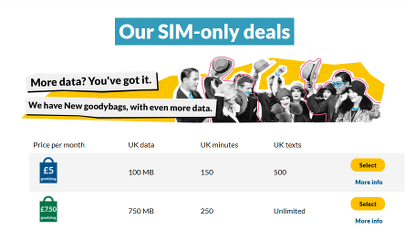 ★★★★☆ giffgaff's deals are cheap for the amount of minutes and data they give you and you can get £5 free credit by ordering your giffgaff SIM via our page here. The only things that stop us giving giffgaff a 5-star rating are the lack of truly unlimited data and their expensive roaming. ★★☆☆☆ The trade off for cheap deals with giffgaff is their online-only customer service. Not being able to call someone when you've got a problem is bound to irritate some people, no matter how efficient giffgaff's online community of helpers are.